No.523288 Aircaftman 2nd Class Orchard, H.C. joined the Royal Air Force on the 26th August 1935, exactly eight months after his eighteenth birthday. His initial designation was 'Aircrafthand'. He had been educated at the Central School, Weymouth, and on leaving at 15 had initially tried to join the Navy. He had, however, been rejected as not being tall enough, and was told to 'go away and grow a bit'. He worked for a few years, therefore, at Portland Dockyard like his father. After several years of indecision as to its Defence Policies, the British Government had finally awoken to the threats to World peace when, in March 1934, the Prime Minister, Stanley Baldwin, announced that if the Disarmament Conferences failed, the RAF would be brought up to a strength equal to that of the strongest air force within striking distance of the UK. In June 1935 the Government announced that the number of RAF squadrons would be increased from fifty-two to seventy-five at home, with a total force of 128 squadrons including those overseas. In order to attract the necessary personnel, advertisements appeared in newspapers and magazines, and the RAF became the armed force to join. Harold gave up the idea of the Navy in order to volunteer for the newly attractive service. Under the scheme some 2,500 pilots and 27,000 airmen would have to be trained in under two years. 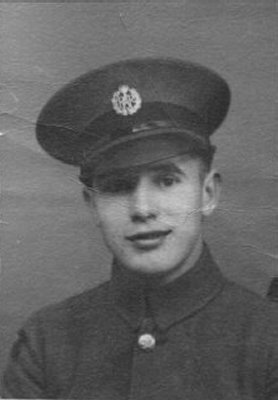 Between April 1935 and the end of 1936 some 4,045 boys and 16,907 men were recruited, of which Harold was one of the latter. In addition, several new Technical Training establishments were required, one of which was established at Henlow, in Bedfordshire. The Operations Record Book of the Home Aircraft depot, Henlow, shows that on 19th August 1935 the unit was reorganised as a Training Centre. This followed a complete re-structuring of the RAF Command structure, doing away with the old 'Air Defence of Great Britain', and creating four new Commands, namely Fighter, Bomber, Training and Coastal. At Henlow, a Station Headquarters and three Training Wings were to be established. No.1 Wing was to take over the duties of the old Home Aircraft Depot, and also run courses for the conversion of aircraft Fitters; No.2 Wing was to undertake the Training of Flight Riggers; and No.3 Wing, to which Harold was attached, was to train Flight Mechanics. The latter two Wings were established straight away, but No.1 Wing and the Station Headquarters were not fully operational until the following July. On any particular course there were to be 54 Machine Tool setters and operators, their course lasting 2 years; 1570 trainee Flight Mechanics and the same number of trainee Flight Riggers, all on 8 month courses; and 500 personnel on the Fitters Conversion course, for a 12 month period. Nos.2 and 3 Wings were both divided into 4 administrative squadrons, No.3 being housed in a new hutted camp to the west of the existing technical camp, and designed to accommodate 1000 men, complete with its own Institutes and Dining Accommodation. Harold was a member of the first group to be trained at the new Wing. 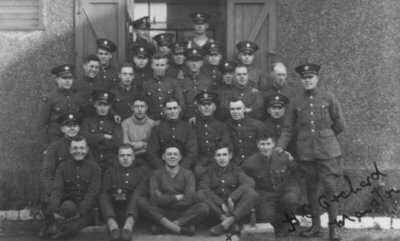 Training at Henlow followed the long-established RAF Technical Training, which had been in operation at No.1 School of Technical Training at Halton for some years, although some modifications were made to cater for the intake of adult volunteers. The skills taught included manual mechanical skills, preliminary engineering, air- and water-cooled engines, magnetos and carburettors, instruments, rigging and splicing of metal, fabric work, float repairs, aerodrome work etc. Except for a short break, Harold was at Henlow until the following September. The short break came on 15th November 1935 when he was posted for two months to the School of Technical Training for specialist skills. The School was located at Manston in Kent, and although Harold could not have realised it at the time, this base was to be of great significance to him in four and a half years time. On returning to Henlow in January 1936, Harold had gained the title of Flight Mechanic. Although not of direct concern to the trainee Flight Mechanics, No.65 (Fighter) Squadron was formed at Henlow on March 1st 1936. A change of routine occurred on May 23rd 1936, when Henlow was opened to the public for Empire Air Day. These events were the idea of the Air League of the British Empire, and served the dual purpose of continuing the relationship between the RAF and the public, and raising funds for the RAF Benevolent Fund. This year saw 8,414 visitors to Henlow, and the sum of £23 15s 11d being raised for the Fund. A month later the Flying Squadron and Parachute Flight provided a 'Parachute Event' for the penultimate RAF Display at Hendon, an annual event since 1920. No doubt Harold and the other trainees watched the preparations with great interest. By the end of July 1936, the re-organisation at Henlow was complete and there were a total of 4830 men on the station, consisting of 130 Officers and 4700 Airmen. 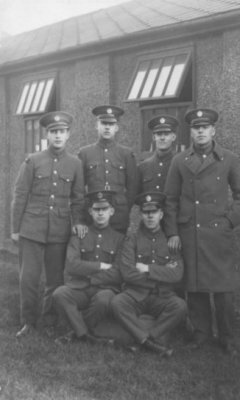 Training at Henlow being completed in September 1936, Flight Mechanic Orchard was posted to his first operational squadron.